"Now you're thinking with portable tunnels!" The Portable tunnel is a rare item that has magical transportation properties. It is thought to work by means of interconnected portals but since none are readily available for study, it is mostly unknown at the present time. If a hero is lucky enough to acquire one, their god may activate it when the hero is journeying to a town but is at a far away milestone. In this way, a journey that would normally take a long time, takes a second. The time it normally would have taken the hero to travel to a nearby city could now be spent purchasing new equipment, healing or training. However the hero may just choose to waste this extra time anyway in a nearby tavern, drinking and brawling. Note: should a Portable tunnel be activated while the hero is selling loot to a trader, they will instantly appear in the main square of another city and instead of selling the rest of the loot may choose to do something else instead. Thus, it should also be considered as an item that can teleport the hero OUT of an undesirable city. 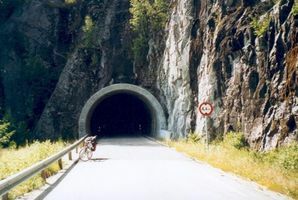 As a bold activatable item, Portable tunnel usually sells for a fair amount of gold. Keep in mind that certain meteorological events may severely reduce the price, lowering it to up to 50% of market value!